Call us today at 605-692-2281. We would be more than happy to answer any questions you may have! Flaskey Chiropractic is located in downtown Brookings, SD. Dr. Flaskey specializes in treatments for headaches, neck pain, low back pain, mid back pain, shoulder pain, knee pain, hip pain, carpal tunnel syndrome, TMJ disorder, among many other conditions. 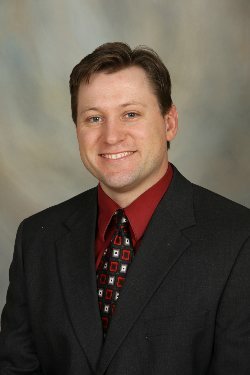 Dr. Flaskey founded Flaskey Chiropractic in April, 2010, though he has been serving the chiropractic needs of the Brookings population since August, 2008. Here at Flaskey Chiropractic, we take a patient-centered approach to your natural health care. Every patient is different, so we strive to provide the most individual care possible. Dr. Flaskey is skilled in many forms of chiropractic adjustments that include manual adjusting, activator, Gonstead, etc. Dr. Flaskey offers full spinal adjustments as well as extremity adjustments, depending upon patient needs. Flaskey Chiropractic also has a full array of services that include: custom orthotics, ultrasound, physiotherapy, muscle stim, X-rays, nutrition counseling, exercise rehabilitation, high school physicals, DOT physicals, ear cleaning, drug and alcohol screening. We accept and will file almost all insurance plans from SD, MN, ND and IA, including; Wellmark, Blue Cross Blue Shield, Dakotacare, Midland's Choice, HSM, PreferredOne, SelectCare, SDSU insurance, Coventry, UnitedHealthcare, Medica, Sanford, Avera, Mayo, Patient Choice and Medicare. In addition to these accepted insurance plans, we also accept cash, checks, credit and debit card transactions.